Do you want a wooden spoon or a set of cutlery? 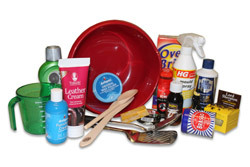 We have those items that you need to bake a cake, cook Sunday lunch or clean the house from top to bottom! We are HG product stockists. If you haven’t tried this amazing range from Holland, now is the time to be impressed! A different product for different tasks, and it works. Their motto is ‘does what it promises’ and it really does…..